The results are in: Cooking en papillote proves that simple can be sophisticated, healthy can be heavenly, and low in fat can be high in flavor. In this cooking demonstration, Chef Margaret Jacobs will share the method and philosophy of cooking in an envelope of parchment paper. Sealed in paper and cooked in its own juices, food is more flavorful than through ordinary steaming. This haute cuisine is ideal for clean and healthy eating, and within the reach of everyone. All are welcome. No prior cooking experience required. Recipes and samples included. 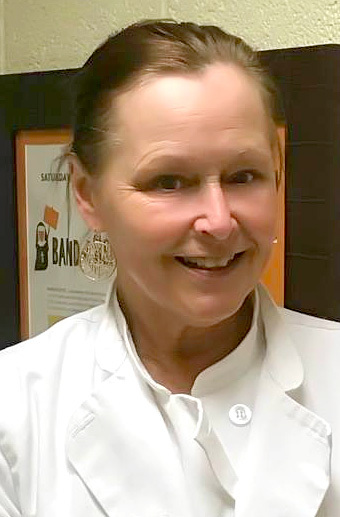 Margaret Jacobs is the Head Chef at Wisdom House. A graduate of the Culinary Institute of America, Hyde Park, New York, she was trained by Austrian and French chefs, Antoine Linda and Michael Carrier. She has worked at the United Nations Plaza Hotel in New York City and as Executive Chef at EF Barrett & Co. in New York City. Her more than 30 years of cooking, baking and business experience in the culinary arts are apparent in her dedicated following of locals with sated appetites.